It was a wonderful and unexpected surprise to return from a family Sunday lunch to see photos of the Duke and Duchess of Cambridge attending service at Crathie Kirk in Scotland. It feels like quite some time since we've seen Kate out and about. The Duchess was all smiles upon arrival. The Cambridges arrived in Scotland for their annual visit to Her Majesty's Scottish estate, Balmoral, and whlst it was thought to be no more than a flying visit due to Prince William's flying schedule with the East Anglian Air Ambulance, the family obviously decided to stay on a little longer. William and Kate dined with the Queen on Wednesday, 9 Spetember, the day she became Britain's longest serving monarch. 'The Duke and Duchess of Cambridge found themselves flying by private jet to Scotland last week, thanks to one of Britain’s richest men. The Duke of Westminster Gerald Grosvenor kindly loaned the couple his £8million Cessna to make the journey from Sandringham to the Highlands with Prince George, two, and four-month-old Princess Charlotte. The Cambridge family were spotted disembarking the aircraft at Aberdeen airport last Tuesday on the eve of a celebratory dinner at Balmoral to mark the Queen becoming Britain’s longest reigning monarch on September 9. 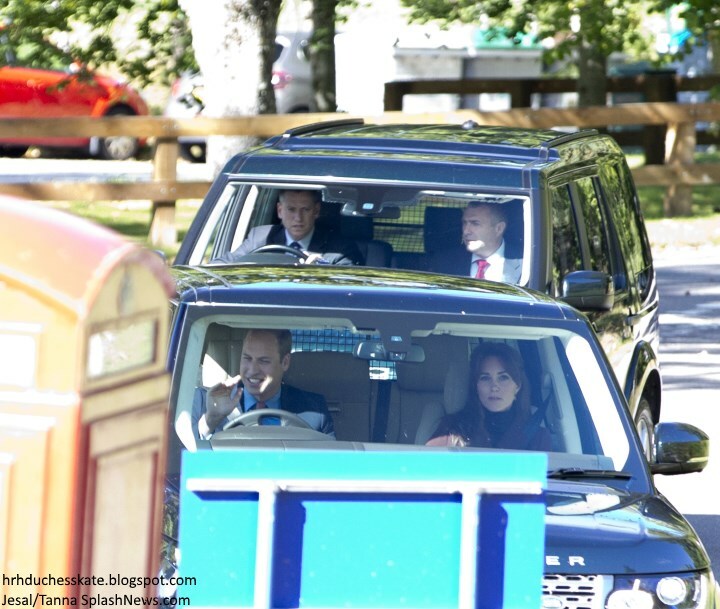 The Cambridges arrived in a convoy of cars with royal protection officers close behind. Prince Charles also drove himself to the service. Crathie Kirk is a small Church of Scotland parish church in the village of Crathie. 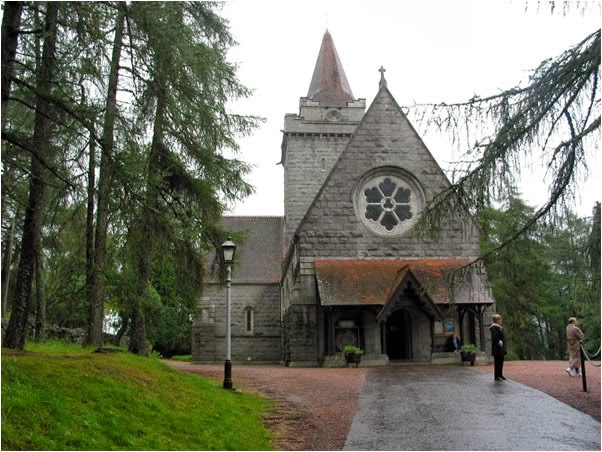 It is known as a regular place of worship for the British Royal family when they are staying in nearby Balmoral. The Princess Royal married her second husband, Timothy Laurence, at the church because she was divorced and, at the time, not permitted to marry in the Church of England. The Duchess chose one of her most stylish coats for the day; the Hobbs London 'Celeste'. 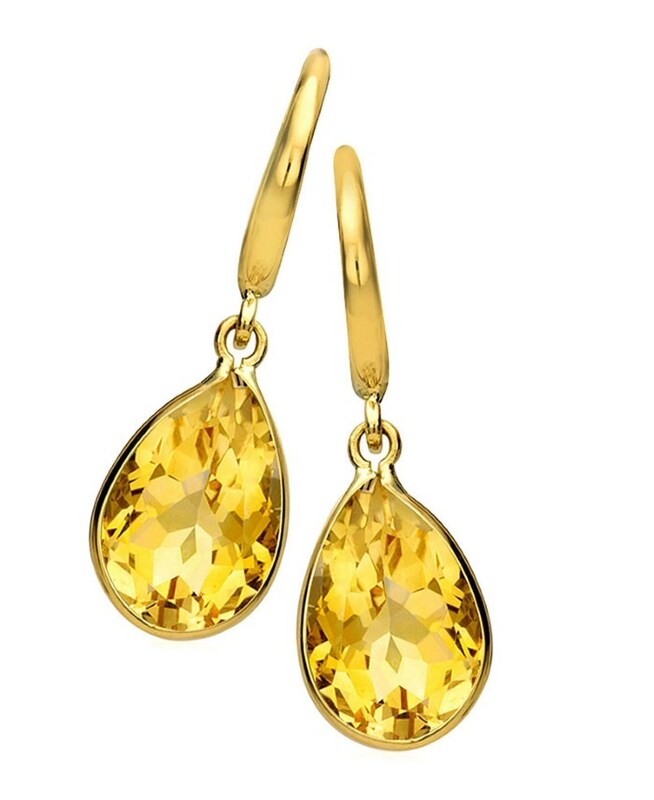 Kate purchased the piece in Sloane Square back in 2011 reduced from £369 to £182. 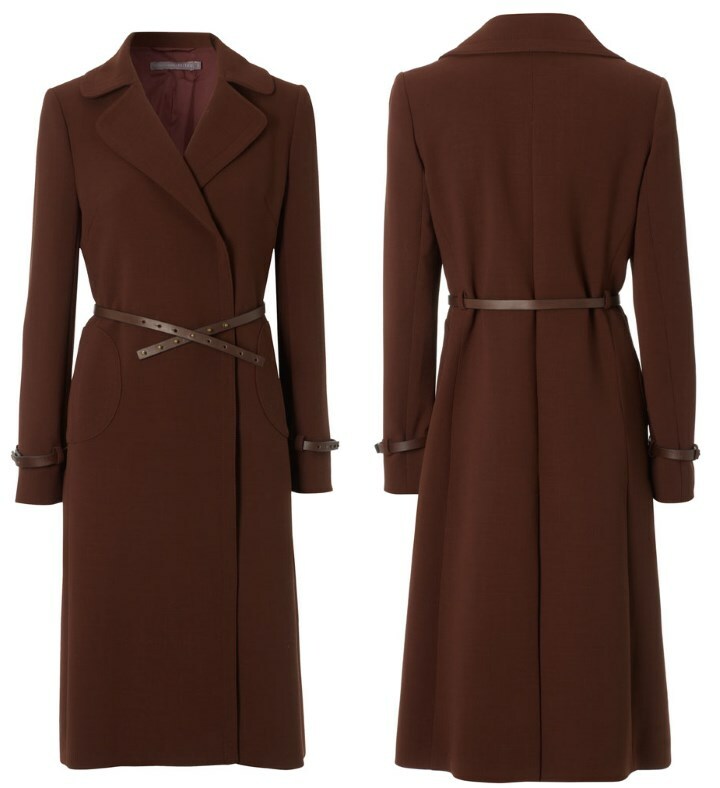 The wool crepe coat features a leather stud fastening and a waisted belt. Below we see Kate wearing it on Valentine's Day 2012, at a Christmas Day service in Berkshire in 2012, and for a visit to Grimsby in March 2013. Kate wore a black turtleneck underneath, which at first reminded me of the Oasis dress she teamed the coat with on her trip to Liverpool in February 2014. Upon closer inspection, the fabric is different; it looks like a piece we haven't previously seen. Several readers suggested the Seraphine Vanessa Dress Kate wore in New York as a possibility. It appears Kate wore her Kiki McDonough Citrine Drops. And of course, the main talking point from today's appearance is Kate's new hairstyle. The Duchess debuted a new style, shorter in length and featuring a soft fringe. Do you like it? Kate will be returning to duties on Thursday for a visit to the Anna Freud Centre and she, William and Harry will be attending the Rugby World Cup opening ceremony in Twickenham on Friday, so one imagines they will be returning to London or Norfolk very soon. As we mentioned above, the Palace confirmed William, Kate and Harry will attend the opening ceremony of the Rugby World Cup on Friday evening. According to Wales Online, the ceremony kicks off at 6.45 pm and finishes at 7.25 pm. At 8 pm the first match of the tournament will see England take on Fiji; it will be broadcast on ITV. The Palace confirmed the Cambridges would be in attendance at several games and events throughout the six-week tournament. A look at a selection of fixtures, some of which William and Kate will most likely attend. We'll hear specific details in due course. 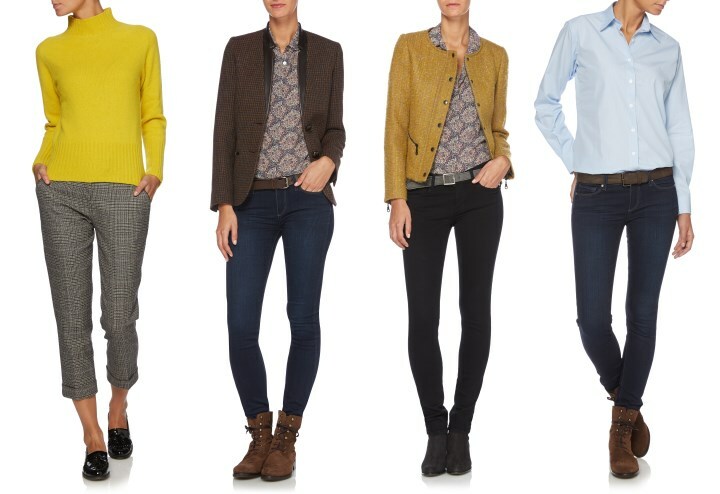 Finally, with autumn on top of us and winter fast approaching, we'll be taking a look at styles from Kate's favourite brands in the coming weeks. Today we're looking at Really Wild Clothing's Autumn/Winter Collection. 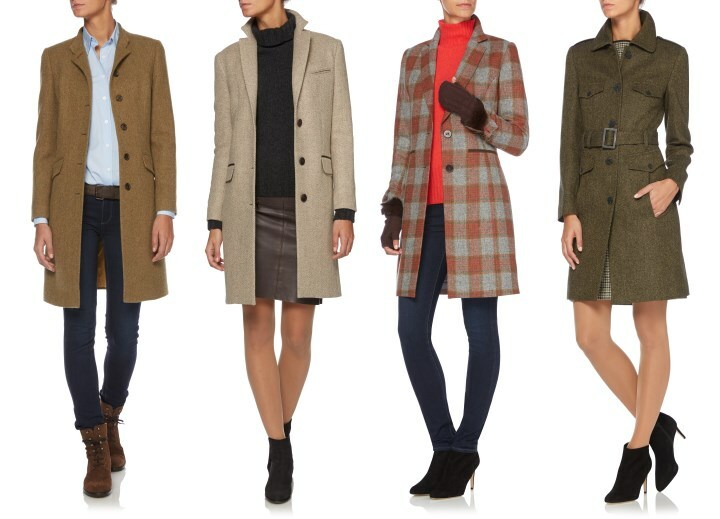 As always, tailored British clothing takes centre stage in the collection, with coats standing out. There's a multitude of possibilities for Kate, including: the Downton Coat in Olive Herringbone; the Albermarle Coat, which is cut from a fine Scottish tweed and comes in fawn herringbone and scarlet grey; we also see the chic Belted Coat in Sage Herringbone. The Duchess has long been a fan of the Berkshire-based brand's wraps and they feature prominently in the collection. 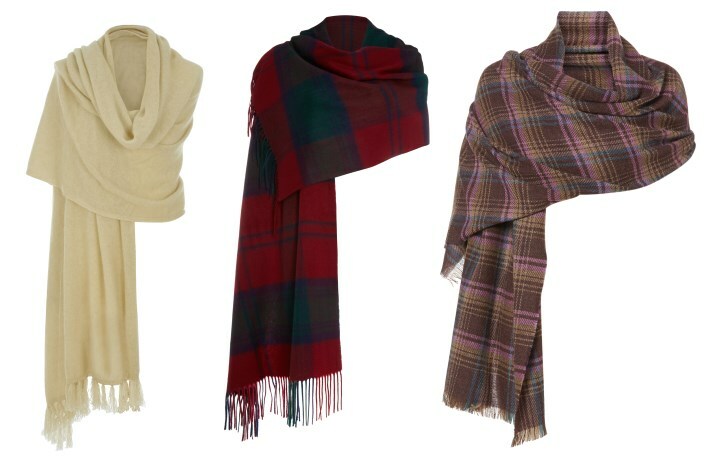 Below we see the Cashmere Shawl in Pale Camel, the Cashmere Mix Wrap in Lindsay Tartan and the sophisticated piece in Damson Fig. Casual looks suitable for everyday wear include the Turtle Neck in Buttercup teamed with Grey-Purple Trousers with Turn-Up. The structured Aberlady Jacket is teamed with the Liberty Print Silk Shirt, and the Classic Blue Shirt can be dressed up or down. The fawn rose Sumner Jacket and Alice Pencil Skirt offer a fresh take on the classic skirt suit. 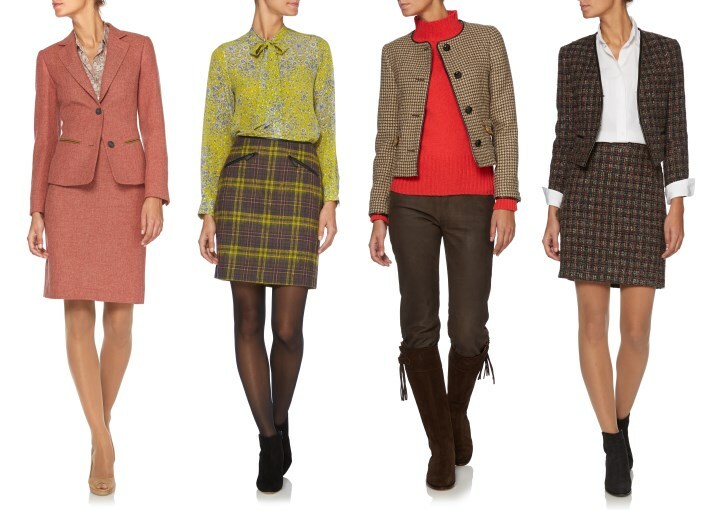 We also look at the Liberty Blouse worn with the Short Skirt with Side Zip in Purple Citrus, the Paris Jacket and the Osborne skirt suit in teal mandarin. Kate's Spanish Boots in Chocolate Suede remain in stock, and they now come in Mink Suede too. The boots are available in 'wide calf' fit reduced from £295 to £150 at present. We have added a number of additions to our Repli-Kate page. Click here to view them. I have always like Kate in bangs. I would love to see Kate have full bangs, not just side bangs. But I guess side bangs are longer and easier to pin back for a updo. Eek...I'm not a fan of the new haircut. She looks so much older. Also, I'm shocked that she's wearing a winter jacket and turtle neck in early September? Is it really that cold in Scotland? I'm in London and was fine today with just a long sleeve top. It'll be a long winter for her if she's already wearing her winter clothes! It's a high of 13C/54F there today, and my guess is a old church doesn't heat well. I believe it was down in the very low 40sF this morning at Balmoral. It can be quite windy and blustery even with the sun at times. I'm with you on this. She tried this during her pregnancy and it seemed hard to manage. Old castles are freezing. And yes, Scotland is not London by any means. A friend and I went on a highland trek once, with pony riding and walking. We were glad to have our thermals. Haven't you seen the Queen's pictures this past week? She was wearing very warm wool coats! Remember Balmoral is quite high - it was very cold everytime we have been there, even in the summer. The numbers don't reflect that mountain chill. Kate seems to run a bit cold anyway, not uncommon when you're thin. I'm wondering if she isn't wearing a turtleneck with a skirt. It doesn't have to be a dress. She does look fuller in the face the way she did when she was first pregnant with George. It seems rather soon for another though - so time will tell. Her hair looked very healthy when she was at the sailing event so I'm thinking the new fringe is just a choice. Looking forward to seeing her this week. Honestly, if I were going to Scotland near Balmoral right now, and to a castle, I would only pack winter things. Layerable items of course. Wouldn't you? I do like Kate's new hair doo :) I have always liked that coat too. Wish the coat was sold in a color I could wear. I love the style. Lovely to see them again and looking forward to the up coming events. I absolutely LOVE IT! She looks fabulous! I love the fringe too. And, I believe it makes her look younger with the shorter layers framing her face. I like it! I think it frames her face nicely - at least in these photos. I also think the turtleneck and brown coat very flattering, suits her. Here's the biggest thing I noticed, and maybe it's just the hair creating optical illusions :) but I think she looks healthier overall. Sometimes I think she looks terribly thin, she looks great here. I think she looks good as well. Her eyes look lovely in the close up. I know where you are going with this Claudia. It might be true because her face is where it shows first. Yikes, if it is true. Noooo!!!! Really? It would be awfully soon. Although she did do new hair with George. No way. I agree she looks very healthy and happy! :) She looks comfortable! That makes me glad! This thought also crossed my mind, she came up with this hairstyle or close when she became pregnant. Wait and see but I find a bit early, one imagines it is so much fun to enjoy one baby and then two. They are pretty young to have a third but who knows they might want little age difference. I love the coat by the way, suits her perfectly, colour is awesome. But a bit undecided on her hair, on Thursday we get the full picture. Last she looks happy, but who would not be right? I thought the same thing actually. Her face looks exactly like it did when she left from hospital with the first pregnancy. The rounded cheekbones. However, surely they would wait a bit? Seems very....fast ....given recovery time post birth. If so, then this would preclude her dealing with the HS as the time line is off. Or is it? Not sure what the rules are these days. My baby is 22 and times have changed. I agree that she looks like she's at a more healthy weight, although it could just be the bangs making her face look different. Either way, I like it! Well if she is pregnant we'll know soon enough if she has HG again. She'll get sick and have to cancel all her upcoming engagements. I really don't think she is though. Somehow, with her history, I don't think they would be talking dates and engagements if she were pregnant again. The only person I know who had multiple children and HG said as I recall it was a bit better with her third pregnancy (which was unexpected) but she still suffered. I wouldn't think they would want to chance cancellations when Kate could still arguably be taking time off with Charlotte. So I really don't think's she's pregnant although looking at her today, I can see why people would think so. It could be the chill is giving her the flushed fuller face look. Most women don't intend to get pregnant that quickly, most mistakenly believe they cannot get pregnant after childbirth or that even some breastfeeding acts as birth control. I know many doctors who go to great lengths to emphasize birth control to their patients at their first check-up because it can be somewhat dangerous for a woman to go through pregnancy again so soon. So for any of you out there without children yet or in the early stages of planning a family... listen up :) You start ovulating again 2-3 weeks after childbirth, from that point on you can get pregnant! So say you get the all-clear from your doctor at 6 weeks (though some people cheat!) and you and hubby have a romantic evening... be prepared... I know many people with siblings barely 11 months apart! Since we talk about hair, I am curious for a long time and maybe there is a hairdresser among us. Does Kate have hair extensions? I have read so many articles pro and cons. Thanks! I don't like to speculate on pregnancies anyway, but I doubt that her fuller face is the result of another pregnancy. I think it's a combination of a coupld things--her new haircut, which rounds out her face, and the turtleneck, which also has a tendency to make your face look rounder. Whatever the case, I think she looks lovely. Kate's always a beautiful woman, but I think she looks especially pretty when she's not quite so thin. Glad you got a giggle from it Rebecca! Yes, they're often called "Irish twins" :) There are entire sections on "what to do if that happens" in the baby books! If we're playing a guessing game I'd guess that she is pregnant, due at the end of March, probably 13/14 weeks now --- which explains why they waited till now to schedule engagements. Wasn't she at 13 weeks with Charlotte when she resumed engagements - appearing in that half and half Jenny Packham? It would also explain the radio silence for the last 6/7 weeks, the cancelled social dates, the fact that she seems to be wearing one of her maternity dresses... I'm quite the conspiracy theorist! I have wondered about that also blue27. Thanks for the Info Claudia. I think we might have a lot of younger women reading and they might not come across that very valuable information otherwise. I thought she looked lovely, but I'm going to wait and hold off making an opinion on her new hair style. I want to see her at an official function, and then judge. 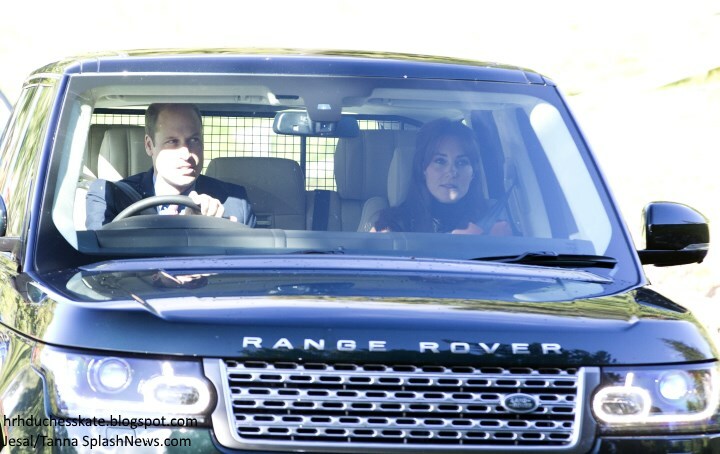 I wonder why they had a separate car for princess Charlotte. It certainly was a nice surprise to see them out and about today. Thanks Charlotte for posting so quickly. Maybe they didn't want the two heirs and the spare in the same car, or simply no room for the carseat in the other? I would think that the cars perhaps could not accommodate 2 adults and 2 carseats? And maybe the Nanny? Plus the PPOs. AmyLu here- I wouldn't pretend to imagine why different parents make the choices they make... If I were in that situation, I might keep the more active toddler away from the baby as well. Mine easily falls asleep in the car and sleep is golden. William, Kate, George and Charlotte plus their child seats and nannyah have been too crowded in one car. Because, unfortunately, they are targets for crazies. Kidnapping both because they are in one car, or God forbid, a bomb/weapons attack (and George runs more risk of being a target as heir) makes this protocol. Sugar, that protocol doesn't count when one of the heirs is a kid. But maybe William or Kate had a higher threat level on them at the moment and they decided to better be safe than sorry. Or as I said before, they were going somwhere else. Or a 1000 other possible reasons. If I were the nanny I wouldn't want to be squished in the back with two carseats. I bet it was just more convenient space-wise to split the family up. Probably more so for security reasons IMO. I mean, these people have bomb proof toilets for heaven's sake. I doubt that they are all going to pile into one vehicle and reduce things to one possible target. Even my family, because their is a huge business involved and heirs being brought up in the ranks to take over the family business and be patriarchs to the family also, never fly all together even when we aren't flying commercial. By the way, I noticed it's already quite chilly in Scotland. Lows in the mid 40's, and highs in the 50's. I have seen all that speculation, and innuendo in the press about Kate being pregnant again. I hope it's just those thrash press spreading gossip. I believe it would be too soon, her body hasn't had a chance to bounce back after Charlotte's birth. Better to wait a little longer, at least a year, right? Oh, she looks lovely! I think the new hair makes her look so much younger, so cute! I found this link while I was looking for something else. It was published in the DM, but done by Reuters so the formatting is off, but it's good information as to the Queen's wealth and where it comes from -- at least the public side of it. Very informative bluhare! I wanted to comment on Edward and Bagshot Park from last post. Help me work through the logic - Bagshot Park is part of the Crown Estate - in which the Queen receives an annual income. Is that the income she pays Edward for "royal duties" so that he can pay his mother rent? Or does he pay it out of the trust fund she set up for him (and all her children and grandchildrent) out of the revenues from the Duchy of Lancaster/Sandringham/Balmoral? I guess what I am getting at is that Edward paying "rent" is probably equal to the salary he draws from his job working for his Mom who owns the house he "rents". Do you think Edward actually writes a check to somebody? Or does it all just even out on paper? Their earnings are not quite the same, as the civil list is gone, replaced by the Sovereign Grant. I found an article yesterday that specifically stated that the Queen pays for some staff, but I can't find it now. Thanks bluhare! About what I expected to find! Turns out Edward gets the revenue from the rents on the stables first and not the Crown Estate! Because.... paperwork says so! I do enjoy a good money switcheroo. All kinds of ways to make it look like the royals are paying for stuff - when they aren't. Moxie, it is an art. Even better than the ninth wonder of the world, "corporations". (The eighth being compound interest.) This is finesse even beyond that. Just the way one would want their wealth manage professionals to be. Elite and highly skilled. Bluhare, Thanks so much for the links. With discussions and research we have surfacing on this blog, we are getting more and more of a comprehensive perspective on the inner workings of TRF. Very enlightening. Very new to TRF because on Internet. Oh god Moxie... I've started writing 2 very good responses to you and both times when I was almost done I accidently clicked stufff and it all disappered!..... Grrrr! So a short answer is: insurance and paperwork. Royal family is big enterprise with alot of departments having budget specified for their department and money have to end up in the right place even if it just seems like alot of money going back and forward between people. Just like Williams EAAA salary probably is for insurance and legal purposes, so is all the money being payed within the royal family. If you work for your familybuissnes (and is not a registered owner) your parents have to pay you to the legal standars and have the right fees payed to government, even if the money just ends up buying you stuff they would have bought you anyways. Just for legal purpposes.. Since the royal family would be lynched if not all of the paperwork was in order I think they are scrupulous with making sure no money is seen to be "under the table" of any kind. So it might seem silly to just push money back and forth but I think it has more to do with making sure everything iss on the up and up than "All kinds of ways to make it look like the royals are paying for stuff - when they aren't"
I want to say that he's not able to get the stable rents any more. I read that somewhere, but I can't remember where. So his expenses have gone up. I think. Unless something else was figured out to offset it. For me, that length of bang does always get in the way. That is about the length that tells me it is time to get my bangs trimmed. Well I'm going to be in the minority here because I do not like it at all. Really not trying to be rude but that hairstyle ages Kate about 10 years to me. I was shocked when I saw the pics because she looked so old. So I'm hoping it's just a bad angle, lighting etc. Because if not Kate really needs to go back to her old hairstyle. Lol Amy! For some reason I'm not liking her outfit choice either, and I love that coat but the turtleneck and those bangs just aren't doing her any favors this time. I don't know why but for some reason when I look at those pics I get a 70's vibe from them. Odd, I know lol. Amy from Detroit!!! Wash your mouth out with soap, young lady!! You really made me laugh. Oh no Rebecca!! I hope to god it's not coming back. I wasn't even born back then but everytime I see pics of people from the 70's I'm glad I wasn't! That was a horrible time for fashion. Amy, I thought the very same thing when I read Blair's post! But, really, why would her hair style be different from her sartorial choices?! Gosh, she's such a beautiful woman and it's a shame that Sophie Wessex -- who is 50! -- dresses more sharply than the DoC. I've enjoyed seeing Sophie at events, as well as Princess Mary of Denmark -- such stylish women! LOVED the pantsuit AND hairstyle Princess Sofia wore to give her speech in Africa. How she cuts and wears those bangs add years to her age and style. Glad to have a sighting though! She does look pregnant, doesn't she? I like the new hair style but think that a central parting does not suit her as much as the side parting does. But really nice to see a change. She looks exactly like her mom. I think Kate resembles her father and paternal grandmother. I have tried to see Carole in Kate but so far, nothing. I like the bangs, but I wonder how practical they will be at official engagements when she wears her hair loose. They seem like the opposite of what she needed to do with her hair, since it already can tend to overwhelm her during appearances. They certainly didn't seem to work out well during that visit to Cambridge but who knows. I thought the same thing that she debuted bangs in Wimbledon. I think they are just more obvious right now since she has part of her hair pulled back. I agree, I think she has aged quite a lot too. The bangs at Wimbledon were longer. I thought that too and checked some pics. These are at her eye level. I'll need to hold off making a firm proclamation of love for the new hairstyle until I can see it better, however, based on this pic alone...I dig it. I have long felt she needed to change up the hair because her look was as stale as week old bread, so I am thrilled she has. Can't wait to see it. So in his first 2 months of work after taking 6 weeks of paternity leave, Prince William has taken a day off (on his very 2nd week) for his son's birthday party and then at least another day off to go vacation in Scotland. I think it's pretty clear the Cambridges could have attended the Braemar Games if they had wanted to. Unless you know when he clocks in and clocks out, there is no way of knowing when and what he is taking off. You can only assume. Its quite possible that he flies back from Scotland and does the evening shift which is part of his shift as well. Same may have applied to Georges birthday. He could also have worked an extra shift to put in the time. There are a whole bunch of scenarios possible. All in all we really don't know his arrangement with his employer on a week to week basis. Multiple newspapers reported that he took the day off for George's birthday. This is when the creepiness of being able to track his helicopter was still a thing so they knew if he was working or not (it's why there were so many pictures of him working at the beginning). Most jobs don't let you take non-illness related absences for the first 2-3 months, and even if they do, most people feel like they can't because they need to make a good impression, unlike William who obviously has no fears of getting fired. It's certainly possible that they schedule it the way you explained, Rebecca. KP explained it as a regular 4 days on, 4 days off, so I just assumed that meant it would be, well, that. As for his 2/3 schedule - I didn't realize that's a permanent schedule change. I thought it would be just for when he has engagements scheduled. I guess it makes sense b/c otherwise the constant changing would be annoying for the other pilots and the company. But if he's started it already just to be able to go on vacation, that still seems like special treatment to me. I'm sorry for me it's mostly just coming back from a 6 week paternity leave and then being able to take a day off for a birthday on the very second week of work (or even just reschedule) is not something people with normal jobs get to do. Anon 22:36 - true, he could have definitely flown back today and do a shift tonight. Good for him if that's what he does. As for working an extra shift to put in the time - that's still a special arrangement that most pilots do not get (unless Rebecca is right and their scheduling is way more flexible than KP seems to have represented it as). And if he can reschedule, then he could for the Braemar Games. I'm still not sure he actually took a day of from work for Georges birthday.. Could just as well be creative writing :P Unless you have a specific source. Yeah, I'm not saying that is how it is, just showing that we don't know how they scheduel their work so it feels a bit silly to jump on William for something he just maybe have done. The 2/3 things was reported from the beginning. That he will work a 100% at first to get into the grind and team and routine properly but then go down to a 2/3 scheduel to allow for his royal duties. And if it is 4days on 4 days of my guess is that he still keeps those shift bunches, but have fewer of them. So if in a year someone does 30 (just pulling a number out of thin air) 4day shifts he might do 20 in the same period giving him longer breaks from that job? Maybe... That way he will have engagements bunched together and then go back and work etc. Just my guess. Yes he could. Or he couldn't because someone requested that week of because of a wedding/funeral/something other. Maggie, when he first took the job, he was going to be full time. That's what all of the reporting said. Then when he started, it was full time, then backing off to 2/3 time to allow for royal duties. So that's probably more like 3 days on, 5 days off. And William has since given an interview talking about how he's only doing this for 2 years. Now I can hear everyone else . . . but you want him to do more, bluhare! So he's doing it! Point taken. Except what a waste of money and training just so William can indulge himself 2/3 time for two years. I'm in shift work and do a 4 days on, 4 days off rotation. I get 5 weeks holiday and get to pick them for whenever, as long as my partners are cool with it. We can only have one on holiday at a time. The way we've done it is we accommodate for big events (weddings, birthdays, etc.) When we have a week off, it works out to be 12 days off. If we take 2 weeks off in a row, it works out to be 20 days off. If I take an extra shift, I have the option of taking it in money or banked time that I can use later for a day off. And both are at time and a half. Depending on the situation, I've taken the money and I've taken the time. Comes in handy when I want an extra day off. A lot if my friends have sometimes wondered if I ever go to work. But I do.. day shifts, night shifts, weekdays, weekends... I've done them all. I'm not saying that's what William has done, but maybe this will put some sense behind why it seems like he has a lot of time off. Thanks for the clarification,0330. Is your 4/4 schedule considered full time and how long is a shift if you don't mind my asking. It seems like you can really negotiate a pretty big block of time off if you have the seniority or can get someone to take a shift. Also, as I'm going to have to eat my hat if William has to work on Christmas Day, what are the odds of someone with only 6 months on the job getting that day off? PLEASE tell me slim to none! I am just weary of those that seem to find fault about how much they work. It is a tiresome issue that is repeated ad nauseum. Must we go over this again and again? Maybe this will make the cut? Agree entirely Anon 6.16. It's become a really tedious and oh so repetitive topic. I do work full time. Mine specifically is 2 days, 2 nights, then 4 days off. I do 10 hour days and 14 hour nights. So it actually works out to be 48hrs/week. We can definitely get a big stretch of time off. I'm still relatively new on the job (less than 5 years), but even then, 5 weeks holidays gives me a lot of time off. I have co-workers who have been on the job for 20+ years and they've got 7+ weeks off. We can also do shift subs.. basically trade a shift with someone from a different crew. So holidays + shift subs + banked time = a lot of time off. The longest I've ever been off for was a month. But I've had co-workers off for 3+ months. My boyfriend has a different shift work rotation. It's hard to explain, but it works out to be only 7 days of work each month. He also has banked time and shift subs on top of holiday time. He's had co-workers off for 6 months at a time because of it. It all really depends on the shift, but it's not entirely difficult to get a lot of time off. As for Christmas, my first year, someone I started with got Christmas off. It just worked out that no one else wanted it off. I also have other co-workers who are younger offer to do shift subs for others who have children and would rather spend time at home opening presents. My boyfriend's done that. Shift subs are usually a shift for a shift, but for holidays, there's kind of an unspoken arrangement where people will do a shift and a half if you take a holiday shift for them. I hope that made sense. I should add that the schedule is fixed. Unless they change my shift, I already know which days I'm working from now until I retire. There are 4 platoons of approx 50 people. Some crews have 2 people up to a max of 5. It all depends on which apparatus we're on. So it wouldn't be like William started and decided he wanted to start on a Monday day shift. He would've started on whatever day of the week his crew started on. It could've fallen on a Monday day shift, but it also could've been on a Wednesday night or a Saturday night. Scheduling for the shift isn't as difficult as it sounds, at least not for us anyway. It's pretty fixed. We pick our holidays a year in advance. There's no guess work on when we work. I am with you anon 06:16. Have said it many times, it has been said by many posters but to no avail. We never get very far into a new post until it brought up again. The work conversation is really like one chasing ones tail. All points of view have already been stated repeatedly. What's the point? In the process of "indulging himself 2/3 time for two years", William will be helping to rescue people. Thank you Anon 330!! I appreciate your taking the time to do that for me. Bottom line is I'd better start checking my hats to see which one looks the most edible. Her face does look fuller and she looks a bit tired. If she were pregnant, it would make sense why she was a bit reclusive the past few months. Anyone else notice her eyes are hazel here? I read she has brown eyes but wears blue contacts. She doesnt wear blue contacts :P (although tatler photoshopped it otherwise....) and her eyes are very fluid in colour rangeing from looking green, green-grey to hazel and brown depending on the light. Probably not enough seats for a family of four, a nanny and protection officer(s). At least, that's my guess. I love Catherine's hair when it is long, full and shiny. Not to be a downer, but this do just doesn't 'do' it for me, in some of the latest pictures I've seen of her, her hair actually seems rather dull and lacking some of it's normal body. Still love her to pieces though! I do agree with Tedi in California....I will hold off on an "official" decision on her hair until after I've seen it prepared properly. I love the fringe. In wish she would just go all out and cut the bangs across. That would still allow for updos and might be very soft and feminine with wispy bangs. I agree Anonymous (13 September 2015 23:47) regarding Kate's bangs. I think she should just cut them too instead of the pseudo-bangs that always look like they are in the midst of growing out and having to be constantly pushed back out of her eyes. Bangs actually make women look younger and I think this is the case with Kate. I like her hair in this photo and it looks shiny and healthy, too. So now we will see on Thursday! Get a better view of her hair, and her figure! I don't think the hair is shorter. I think it is still rather long, she just added bangs. 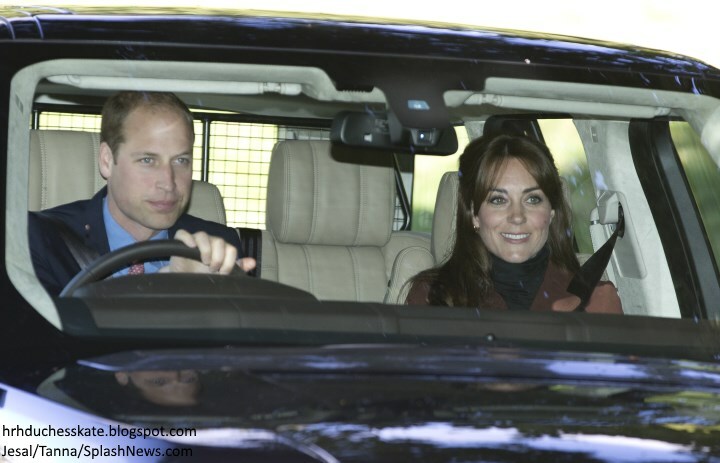 I will say I think it is odd that the children went in a different car than Will and Kate at the airport. One would have thought Kate at least would have rode with the children since she is always toted as a hands on mom. I find it odd that only the nanny rode with the children. I agree with a comment above. Could be for security as well as how to put them all in one car? I'd expect it's also partly a concession to the long-held stricture against immediate heirs traveling together, as well as a space issue. I remember that when Diana insisted on taking William to Australia, it was widely reported that one of the reasons it was groundbreaking was that William and Charles would be in the same aircraft, which against the antiquated Windor rules then. If it was because of the rule against immediate heirs traveling together, I think it would be slightly useless to do that for a car ride after having them all together on the same plane. Also I feel like then they would send George and nanny in a separate car, rather than Charlotte, who is less close to the throne. But I also just think there could be a thousand different reasons for this. I heard they are staying at Birkhall, not Balmoral. Maybe Kate, William, and George were going straight to Balmoral to see the Queen while Charlotte went with nanny to Birkhall to sleep. Charlotte could the dress be the Seraphine maternity one she wore in NY? I was not sure if this has too much of a turtleneck compared to that one? I don't think it's the Seraphine dress either. If you look closely, the Seraphine looks like a heavier material and the turtleneck from yesterday looks a little more clingy. And I can't imagine she would be wearing a maternity dress now, even if she WAS pregnant again, given how non-existent a bump would be at this point. In our Parish & at our Church we wear whatever we want. Granted we are in the tropics and it's summer- last nite we attended Mass and we (my husband & I) both wore shorts & tee shirts. (also for me a hoodie as the AC can sometimes be cranked way up) I often wear capri pants or slacks, & never have I thought about color. We attend services every week. The folks in our church all dress as we do. Up north we dressed less casual but never did color enter the picture. Charlotte, thanks for this post- HRH looks amazing. Love that she has changed her hair style and love the "fringe" (we say bangs but I like "fringe" better) Have a wonderful week all! Black dresses are a church staple especially during the winter time. At least in my Bible belt part of the U.S., they are certainly not just for funerals. I don't think there are any colour restrictions for church except perhaps for Easter, and Kate has a coloured coat on so it isn't as if it's all black. Chances are she kept her coat on. And she may be wearing a turtleneck top with a skirt that is a different colour -we can't tell. Light colours would be unusual up in the mountains. Maggie I agree with you as it does seem a bit unusual to wear black to church unless it is a funeral to me. Just my opinion. I tend to wear the brighter colors too. But I think that is one of the old fashion rules that seems to be fading into the background that doesn't hold much water any more (i.e no white after Labor Day). In my church I wear jeans and t-shirts, even when I volunteer because that is what the church provided. Relaxing dress code encourages attendence and you are supposed to be there for the church and the messages, God, Jesus etc. They don't care what color you show up in. I'm an American who goes to church times a week, and I wear pretty much any color, including lots of black. I tend to wear a lighter color at Easter, but that's more because it seems to fit the season more than any color etiquette for church. I remember reading years ago that the UK royals have a rule against wearing all black (head to toe, unbroken by any other color) to church except for funerals or memorial events. But Kate isn't wearing all black so that's not a problem. I have been a church goer also and black was never an issue. I wore pastels at Easter, like you, more for the spring and sunshine and flowers than any sort of formal protocol. I wear black to church quite often. I don't have a set rule of which colors I wear, and none of the churches I have been to have had a rule about color, but more of what kind of cuts, necklines, etc. Modesty is a bigger thing for me than color. I try to dress appropriately and I have noticed that many things I find appropriate for church are often black, grey, white, etc. I attended a Catholic school when I was in high school and we had uniforms but many friends attended Mass there and they had no color restrictions. I love wearing black though. A few black staples make wardrobe building for any season a lot easier. Plus, I have found when I wear black I get less attention focused on my clothing, or that is at least how I perceive it. I get really uncomfortable when people watch me so I try to blend in or be unobtrusive. I'm surprised no one has commented about postpartum hair loss as a reason for the bangs. Many women experience thinning hair a few months after having a baby and it takes a while for it to grow back The bangs might be just a way to blend in the shorter bits at her hairline. I do the same thing after every baby. Hummmm. Rebecca, definitely food for thought. Do you have any references to that. That would definitely be something to add to our fringe conversations. I thought that too but the Court Circular says Prince Charles and Camilla met with them and the Queen did too, but it doesn't say anything about the Cambridges. That doesn't necessarily rule out the possibility of an unofficial meeting though. Maggie, I didn't mean that they had an official meeting! But the PM and his wife was there more than one day as I heard it (I have seen in documentaries before that it's customary for the PM to stay with the Queen a weekend when she's in Balmoral, for both buissness -to make up for the missed weekly meetings- and pleasure) so I meant if they were out hunting (Don't know if the PM did that) or any number of more casual things :P I have no source anon 20.00, saw it in a few tweets and a royal forum. And since the PM usually shows up in Balmoral in the fall I have no reason to doubt them.. I think it might have been Cepe on twitter who wrote it. Kate has tried the softer fringe looks before, and it never seems to suit her. I personally think (being a 20 something) that this hairstyle is an odd combination of aging and too youthful. It doesn't suit her face shape, nor does she ever really seem to enjoy it (I've seen pictures of her fussing it with quite a bit more when it's like this). Nevertheless, she looks happy, and I can't wait to see her back in action! I hope Natasha Archer isn't advising her again. No offense, but I don't think she understands Kate's needs but just goes trendy regardless and it doesn't work. Kate is not a college student anymore and that is how I think Natasha approaches it. I wore a black outfit with white trimmings to church last month. I like the new hairstyle. But I want to see it more clearly, so will form a firmer opinion next week. Thanks, Charlotte, for your work on the blog, as always! I wonder if the different cars used was due to reasons other than space. I mean, with a growing family, it would make sense to upgrade to a larger vehicle especially when travelling with aids and protection officers. I find it hard to believe the Royal family doesn't have a vehicle that seats more people. We have an SUV that seats 8. Off this topic but lot of press regarding Harry and Chelsy (sic). Personally I have always hoped they would figure it out. Cressida was just too young . I think Chelsy is Harrys Camilla. 7 years together. I would love to see them together. Another burst of fresh air into the BRF. I totally agree, I think she completes Harry......I hope it works out for them. I would love to see them work out, too. I read that Chelsea is an attorney now(?) . I just don't think she wants the job that comes with marrying into the family. I don't think she is interested in the lifetime of press coverage. It's interesting (and kind of sad) that Harry keeps choosing women who don't want to deal with the attention of being his girlfriend or wife. He's obviously attracted to strong, independent women and that's great but it'll make finding a wife difficult for him... He'll have to find the woman who loves him such that she's willing to take on the job, too. I hope he finds her soon bc I think he wants to. I think he'd love to have a partner with him, like William does with Kate. I agree. Harry is going to have to find a very special woman, and include one that he will be faithful to into that mix. I have made many comments on blogs that it is my belief that Harry and Chelsea will get back together. Now that Harry is twice more removed from the throne, I think his life will become more private as time goes on and that might be enough for Chelsea. Harry once said that he and William made a pact to ascend the throne "together" and that Harry would support William. But the way things are going, George will likely be an adult by the time William takes the throne, so Harry's immediate help may not be required. That's my hope, opinion, and sheer guess. Because, for some reason, Harry hasn't asked my opinion. LOL. Kate looks elegant and radiant! I cannot believe the comments I am reading. She is very beautiful. Well you are entitled your opinion as are others. We are all allowed to think what we want and some don't think Kate looks as good with bangs. We don't all have to agree, so don't get so upset when someone doesn't think the same as you. Thanks. I agree Anon 04:09 and CuriousKat I don'the think the post was reflecting that 04:09 is "so upset". It was just a comment to which many others have also said how much they like her fringe. Anon 04:09, She really does look radiant and beautiful. I do like the fringe she is sporting, but I like her hair no matter how she wears it most of the time. CuriousKat. Yes we are all entitled to our opinion and allowed to think what we want and that and that includes Anon 04:09. Perhaps you are the one that is "so upset". I sure didn't think Anon's comment sounded like they were particularly upset just stating their opinion that she "couldn't believe the comments she was reading". Let's face it some will never like the Look Kate wears. No matter what! Kat, I think Anon 04.09 might have been hinting to the pregnancy speculations and not that some not like the hair. But I could be wrong! I have always thought Kate to be one of those rare gems... Beautiful inside & Out. However, in these pics I was taken aback, She's absolutely Glowing:) Love The Hair, Love The Autumnal Tones of Her Outfit & Love Her Bright Twinkling Eyes & Smile. Right away I thought it was one of The Best Straight on Pics of Her! Something very natural & authentic about it to me. Nice to see picture of William and Kate! She is beautiful. For people saying she looks older (I agree), remember that when the sun is glaring on your face, it shows every line and wrinkle. I always end of deleting "selfies" of me that are taken in that kind of light. I'm quite impressed at the number of photos that she looks perfect in. It's really great that they were able to be with the Queen on her historic day. Was Charles there, too? If so, there were 4 generations of monarchs together on that day. I love every piece in the Really Wild Autumn/Winter clothing line, and would like to own every outfit. :) Thanks for sharing them with us, Charlotte. You also have to remember that most photos of Kate that appear 'perfect' are actually photoshopped. I think Kate is very pretty, but everyone would look perfect with photoshop. I saw a photo of Charles driving with a PPO (?) in the passenger seat. I want EVERYTHING from really wild! Those clothes are classic but contemporary at the same time. I also like them a lot. Catherine looks beautiful. Her eyes are so pretty. She's mentioned that Prince George has Middleton eyes. I find it interesting that she's not doing the heavy eyeliner and her eye color really pops. A bit fuller in the face? Could be the new fringe and she just wanted to change her look up. Perhaps we're seeing a more relaxed version of herself that hasn't really been seen before. Princess Charlotte is at a fun age along with Prince George whose most likely into everything. I really do like this more relaxed side of The Duchess. It's exciting. After all we are here to follow her style choices because we're fascinated by her. Not nessasarily to critique her role as a working senior Royal and what she has planned on her diary. 4 years ago when Charlotte started this blog about Kate Middleton marrying Prince William I became an avid reader of this blog. You may not have seen me chiming in but I am very much a part of this community and familiar with all of the lovely gals that comment on a regular basis. I agree with Anon 04:09 that Catherine looks elegant and radiant. Charlotte does a spectacular job at keeping us up to date on everything Kate. When did this fun loving enjoyable blog become a forum to criticize and demean Catherine's private and public life? Have we all forgotten she has baby Princess Charlotte and her schedule very well may revolve around a hungry 4 month old that is being breast fed? We aren't privy to her personal life and we really don't know what goes on in the comfort of her and William's home. So can we agree to disagree on which cork wedges she will wear and admire Catherine for the woman that she's become, a Wife, a Mother to two very young children and a patron of her charities that she supports. That my ladies is a full time job in itself. WOW! ChristyByTheSea you have nailed it! I have also been an avid reader of this blog from the beginning but didn't comment until recently-and when I did it seems that some (but not all) hell broke loose. I find it interesting (as an American) that folks expect so much information on TRH. Really as you mentioned, we were interested in her public life & wardrobe (at least I am) and not so much was she does in private with her children & PW. Thank you for posting I feel so much better having read what you said. Charlotte, as always, thank you for all that you do- you are an amazing your woman -& a very talented one as well. "Have we all forgotten she has baby Princess Charlotte and her schedule very well may revolve around a hungry 4 month old that is being breast fed?" Have you forgotten that she has been on holidays away from them, at least George? Or that she has managed to go for sports games? Have you forgotten that it is possible to pre-pump a few bottles worth of milk if need be (which apparently is an option for her to go watch some games)? Have you forgotten that she has full-time staff of nanny, possibly a night nanny, housekeeping, cooks, gardeners, assistants, etc? Have you forgotten that it has been noted by royal reporters that she makes her schedule and arranges it the way that she wants? Have you forgotten that royalty is a job, that she is given extremely luxurious benefits to do, and is not a choice? Have you forgotten that her lack of work ethic has not only occurred in the last 4 months since having 2 kids - but has been glaringly obvious the last 13 years she has been in the public eye? Have you forgotten that how she contributes as a royal is the entire essence of her relevance on the public stage, and therefore it is crucial that it is regularly discussed? You know, a little deeper than what she wears? For what it is worth, I do like her new haircut. She looks very pretty. And am looking forward to her getting back into things. Child mental health is a topic very close to my heart as a nurse in child psychiatry. I hope she does them well with her appearance on Thursday. Very well said, ChristyByThe Sea. I too have been following Charlotte's lovely blog for at least 3 years, although this is only the second time I have made a comment. I have noticed that more and more it has become a "forum to criticize and demean" just as you said. As Catherine takes on more of a public life, I find lots to admire about her and believe she does a wonderful job. Thank you Christy, Beautifully Expressed! I dislike the middle part on Kate, I don't think it suits her. But it could be a temporary hairstyle to accommodate postpartum hair loss. The hair on the temple area can get very thin and look like bald patches. Remember the press going wild with extentions speculations when her old scar was showing. Maybe she doesn't want a repeat of that. The fringe could be a good solution until her hair grows back to its regular fullness. D.
It was a lovely surprise to see these photos from Scotland they are surprisingly good usually photos from attending Crathie Church are quite blurred they were clearly quite happy being photographed and both seemed happy and relaxed. I am pleased they stayed for the weekend as it will have enabled Prince Charles to have some time with his grandchildren as Charles had engagements inn Dumfries and then Yorkshire last Thursday until late in the evening so would not have been at Balmoral until Friday . The Duchess of Cornwall has been unwell and had to cancel all her engagements on Thursday and Friday probably why she was not at church with Charles though she is now at Balmoral. In the court circular it mentioned the Camerons were at Balmoral on Saturday but left on Sunday whether W&K met them no one knows. I now look forward to seeing more Kate appearances and hopefully a more positive attitude from her towards her charities she started off so enthusiastically but since having George and Charlotte the enthusiasm doesn't seem to be there. Mary, you may see it as a lack of "enthusiasm", but I see it as a change in circumstances. When W&K were newlyweds, naturally the goal was to introduce her as William's wife and a future Queen. What about the tours of Canada and California shortly after they were married? Not directed at you, Mary E, but the Princess Sofia flag wavers (and I am not taking anything away from her speech...I know I couldn't do it!) seem to have forgotten how successful it was and how well Kate handled it...literally, "to the manor born." W&K also supported the Queen in 2012 during her Diamond Jubilee year. But when Kate got pregnant towards the end of 2012 (something I believe they timed to not overshadow the Queen in 2012), it's understandable that other priorities were, and have been, in place. I have a theory! Perhaps she had a full fringe cut, immediately after her last appearance (in Portsmouth towards the end of July?) and hated it so much she went into hiding for several weeks till it grew out a bit! Perhaps that's why she didn't go to that wedding in Devon! I can't think why someone would deliberately have a fringe cut at that annoying sort of length that she's always going to have to be pushing out of her eyes. Actually, though, I think she looks lovely with some dangly hair to soften her forehead, and very much like her mother. A tad photoshopping and the speculation will sell millions of magazines newspares and clicks. William looks in love in the first picture. Kate looks like a fully matured woman. Well, c'est la vie! I think Kate looks tired and older. Seeing her with bangs again made me laugh and feel a little bit better about my constant battle with the bangs/no bangs option. When you have long hair and you want to do something different and it has been a while since you had bangs, you forget how much upkeep they are and how much more you have to do to make them look good. I quite frequently bounce between the too options and right now I have bangs. I can't tell how short it is and will follow the suggestion of other posters to keep final decision until I can see it in its full glory. I will say though it reminded me of their visit to Cambridge. I think that was my favorite story about her because she looked absolutely stunning with bangs, shorter hair and that was right before we found out she was pregnant with George. She just glowed from the inside out during that visit. Hard to judge the haircut from the car like that I'll wait to see her in better light! Thanks Charlotte! I don't usually comment, and I am like most of you, the biggest Kate fan. I have to say that when I first saw this photo, my immediate thought was that it was photoshopped. I thought Kate looked much, much older than usual. Perhaps just signs of normal aging and being without sleep due to the children. I also feel the haircut ages her as well. I am excited to see her over the new few weeks and I'm sure she will look more well rested and can't wait to view her sartorial choices at these upcoming events. If she wears her navy blazer, stripe top and skinnies combo to the rugby ill actually crack up!!! Hahah, me too! I will probably laugh really hard when going in here and seeing the uproar! Might even make a cup of tea (Never drink it but could make due for the occation) and watch the hillariousness unfold!! :P Wanna join me, Marie? I love every Really Wild outfit you chose Charlotte. We should have a Post on it: all who think she will wear the Uniform, say Aye. I have mixed feelings about the hair. I love it shorter, it's always been so heavy and bulky and dark, in my opinion, but I'd like a better look at this 'do when she's standing. In the past when she's had that fringe, it seems like she fusses with her hair a lot more than normal, so not sure how that'll play to the cameras when she does her few engagements but we'll see. Kate looks much older than her 33 years and her smile looks very, very, very forced, almost Stepford-like. William doesn't look happy at all to be there. This couple just continues to create more questions - and concerns - than answers. Even the royalists in the UK media who report on the palace, the devoted monarchist reporters, are saying things are just very odd and the bumbling, amateurish efforts of the KP press office aren't helping at all, from the sounds of it. As for Charles, he did attend morning prayers and I think I read in the Mail that William and Kate were staying with him (Camilla has had to cancel several engagements due to illness) at Birkhall, his residence on the Balmoral estate. The photos do make them looked strained and sort of phony. You decide to sport bangs and make headlines worldwide. Such is the life of Kate. Can you imagine? Bring back Richard Ward, pleeeeeeease. I don't think she necessarily got a haircut. That longish fringe/bangs (whatever you want to call it) is quite possibly always there and is just styled such that it's not apparent. I think it's just probably that she did her hair herself, rather than having it done professionally as I imagine she does for official engagements, and she simply styled it simply. She's a beautiful woman and consequently always looks beautiful but I don't care for her hair styled that way. And I do happen to love her coat. She looks happy in the picture, which is great, but it's easy to tell when she's not as happy or excited to be out on some official engagements. You can compare pictures of her real smiles and see happiness on her face when she's with William or at events she's really in to and see a definite difference at other events she isn't as into or comfortable at. I wonder if that's something she will learn to hide better. Very FEW people can pull off a middle part, no matter what. Kate cannot pull off a middle part. It is very unattractive on her on many levels. She is such a beautiful girl and has many other options. So I hesitate to ever promote the idea that we should stray away from certain topics, but I'd like to throw out the possibility of people perhaps choosing not to speculate on whether or not Kate is pregnant. It's something that always bugs me about discussions of any female royals. Any time they look like they have gained weight, or are not at their usual weight for whatever reason, the pregnancy speculation starts. And I think that has a huge deal to do with why so many famous women, not just royals, end up with eating disorders and are at unhealthy weights. It can't be easy to gain a tiny bit of weight and then read a ton of speculation online that you must be pregnant. Maybe Kate just isn't trying to work as hard to get down to pre-pregnancy weight as she did after George's birth. Maybe she is working hard but having 2 pregnancies in 3 years is just making it difficult to achieve. Maybe she is actually very skinny and it's just an optical illusion because of the car, or the turtleneck, or her new bangs. I know that no one here is speculating about a possible pregnancy out of any kind of malice, but no matter what the intention is, it has to be hard for the subject to read or hear about it. And even if Kate never hears about any of this new pregnancy speculation, in general, it just seems like a good idea not to ever comment on why a women's weight appears to be the way it is. Or heck, whether or not a woman has even gained or lost weight. And this is definitely something I'm guilty of sometimes - I know in the past I've commented on Kate looking too skinny right after her marriage. I'm trying to work on it, and am hopefully getting better about it. But I don't know. This is something I struggle with because people here probably have noticed that I often post comments about Kate that are critical in nature. So what is the difference between that and this? Wouldn't my comments also be something that could affect Kate in negative ways? (I'm not conceited enough to think she would care about my comments specifically, but just in the general sense). I think there is a difference between criticizing Kate for not doing enough royal work, and speculating on whether or not she is pregnant. But I don't really know how to articulate that difference, aside from the fact that I think weight is a way women are especially targeted by society. But there's certainly a possibility that I'm just making up a difference to reassure myself. Hopefully I'm not being hypocritical. I'm not trying to tell anyone what to do. I just wanted to get this thought out there. I quite like her new hair! I can't wait til Thursday to see the full thing :) Counting down the days. I hate to be the one to ask this question - but aren't these unauthorized photos? That WK specifically requested we not view and post? Or are those only of George? In the fourth photo down, they seem to have just entered a gate. Kate seems to have just noticed the camera (security?) camera. If she wears that "outfit", I am surely going to skip this blog that day.